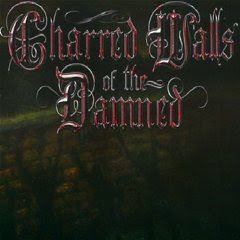 Hall of the Mountain King: Review: Charred Walls of the Damned, "Charred Walls of the Damned"
Review: Charred Walls of the Damned, "Charred Walls of the Damned"
I’ve had high hopes for just about every project that Tim Owens has been involved in since his departure from Iced Earth, and they’ve been largely lackluster. Finally, though, the cycle of disappointment is broken with the debut of Charred Walls of the Damned. The new project was founded by former Death and Iced Earth drummer Richard Christy. Featuring Christy, Owens, Steve DiGiorgio on bass and producer Jason Suecof on guitar, Charred Walls of the Damned is essentially Glorious Burden-era Iced Earth without Jon Schaffer. As you’d expect, the outfit does take some of its more melodic cues from the former band of ¾ of the members, but it also takes just as much from the technicality of Christy’s days with Death. The record opens with the first single, “Ghost Town,” a ripping number that shows a little bit of everything that the band has to offer. There are some blistering drum pieces from Christy, some nice sweeping leads from Suecof and a memorable chorus melody. 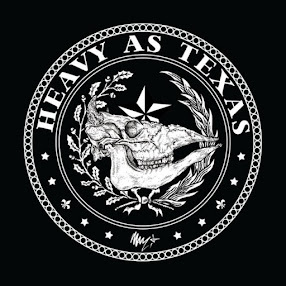 The rest of the record offers a nice balance between more melodic-based songs like “From the Abyss” and blasts of Death-style technicality like “The Darkest Eyes.” Huge hooks are the order of the day, and just about every song here offers one. Among the more memorable are the slower “Voices Within the Walls” and “Blood on Wood,” which also features a catchy galloping guitar riff from Suecof. Being the guitarcentric guy that I am, I rarely notice drums unless they’re really good or really bad, but Christy’s work here shines, particularly on the more bashing numbers like “Manifestations,” “The Darkest Eyes” — which comes the closest to a Death number in the early going — and “Fear in the Sky.” I do think he goes a little over the top with the technicality in places, particularly toward the end of “Manifestations,” but I also think Owens goes a little over the top on that track with the falsetto bits. Christy, though, is not the only star of this album. Unlike many records where the instrument of the driving creative force hogs the spotlight, everyone in Charred Walls of the Damned gets a chance to shine. Owens’ vocals are solid on every song, perhaps the best performance he’s turned in since his days in Iced Earth. DiGiorgio gets to show off his speedy bass technique on songs like “Blood on Wood.” The most surprising element here, though, may be Suecof. Known more as a producer than a musician, Suecof shows that he’s got some serious chops throughout this record, both technical and melodic. If I had one complaint, and it would be a very minor one, it’s that some of the melodic elements from song to song seem a bit similar. On the other hand, you could argue that those similarities bring the record together. I couldn’t disagree with that either. It’s a rare thing when this kind of grouping of musicians meets expectations, but Charred Walls of the Damned blasts through those expectations. It’s certainly an early contender for my best of 2010 list. Here’s hoping we hear a lot more from these guys in the future. Get "Charred Walls of the Damned."